Our Paris travel guide for unforgettable holidays up to -70% off To take advantage of these offers, join now for free! 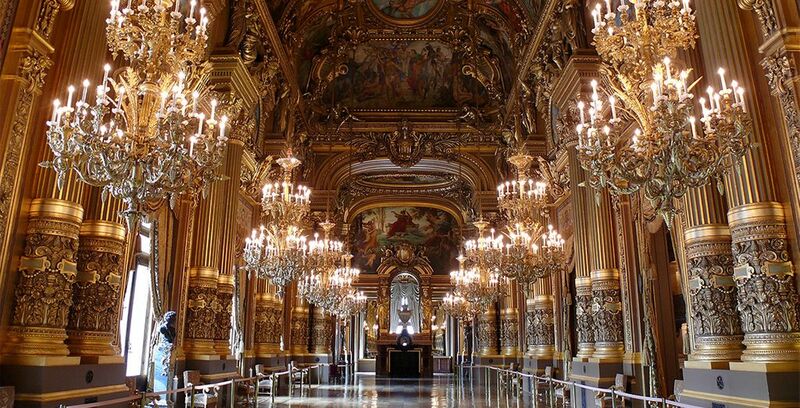 Discover the TOP 10 Paris attractions in our Travel Guide. 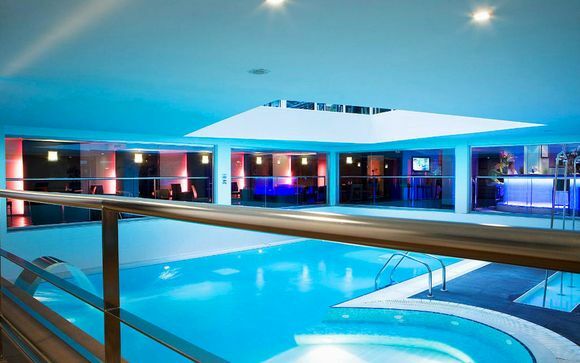 Find advices, itineraries and hotel deals. Save time in planning your vacation with Voyage Privé. Colloquially known as 'The City of Lights', Paris is a hotspot for culture, cuisine and famous landmarks. Split into 20 districts (known as arrondissements) set out in a spiral pattern with the 1st arron. 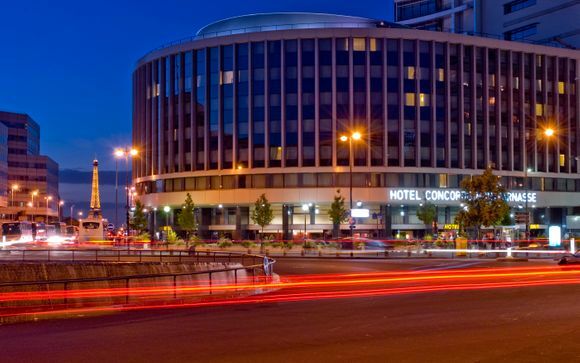 in the centre, the city has a lot to offer any traveller. From art and architecture to boutiques and pastries, Paris is a city of many delights with a rich and diverse history that can be seen throughout all 20 of its districts. A transport hub, much like London, Paris has two airports, a metro network, tram network and is served by the Euro Tunnel. With construction starting in 1887 and lasting over two years, the iconic tower designed by Gustave Eiffel is a true masterpiece of engineering. The Eiffel Tower is probably one of the must-see attractions in Paris, and is often the thing most people think of first when they think of Paris. You can pay €15 to go to the top of the tower and witness the stunning aerial views of the city, or simply find a bench, a crepe and wait for nightfall and the tower to light up. The biggest and most renowned museum in the world, The Louvre is home to the masterpiece Mona Lisa and is a central monument within the city's 1st arrondissement. You could easily spend one day here, or 100 - there really is that much to see! A beautiful 13th-century cathedral with gargoyles, stained glass designs and stunning gothic architecture and an archeological museum in its crypt. A monument to all those who fought in the French Revolution, the 50-metre high arc stands on a roundabout at the western end of the Champs-Élysées. The famous cabaret venue founded in the 19th century and re-built in the 20th, Moulin Rouge offers dinner, dancing and fabulous decor and atmosphere. Home to the kings of France between 1682 and 1789, the palace has a hall of mirrors, guilded apartments, fountain shows and a mountain of history and culture to explore. Over 480 miles long, the Seine runs right through the heart of Paris. 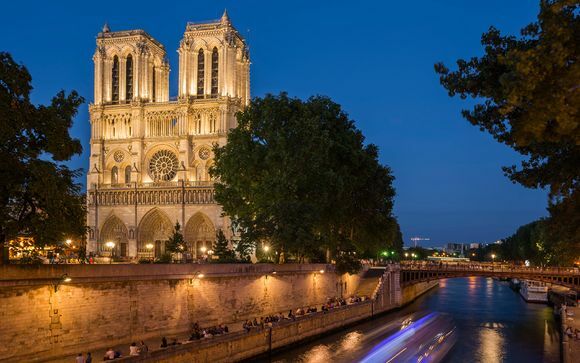 One of the best things to do while in the city is to go on a guided cruise of the river where all the landmarks are pointed out to you along its banks and a bit of Paris' history is revealed. To truly experience the city of lights in all its glory, book a later cruise so the return journey is in the dark and watch the lights of the Eiffel Tower shine and dance. 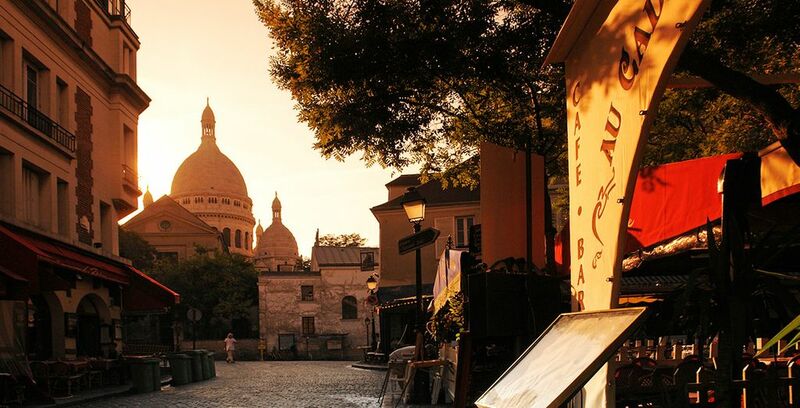 Located on Montmartre, the gorgeous, white, domed Roman Catholic church sits at the top of the hill and boasts stained glass windows, mosaics and beautiful architecture. A 17th-century public garden located in the 1st arrondissement with an extensive collection of statues, it's the perfect place for a picnic. Containing the remains of over six million people, the catacombs are a popular place to visit in Paris. Guided tours are the only way to get around the underground labyrinth of the dead. All seasons in Paris have their charms, but the two best seasons to visit are spring or autumn. The blossoms of spring and the crisp, autumnal foliage of the fall months make for a gorgeous romantic backdrop. The weather is also a little milder during these months and, unlike during summer, the Parisians haven't jetted off themselves yet so you get the full experience. Autumn is slightly cheaper and less busy than spring (as the spring months are considered high tourist season), but the weather is milder. 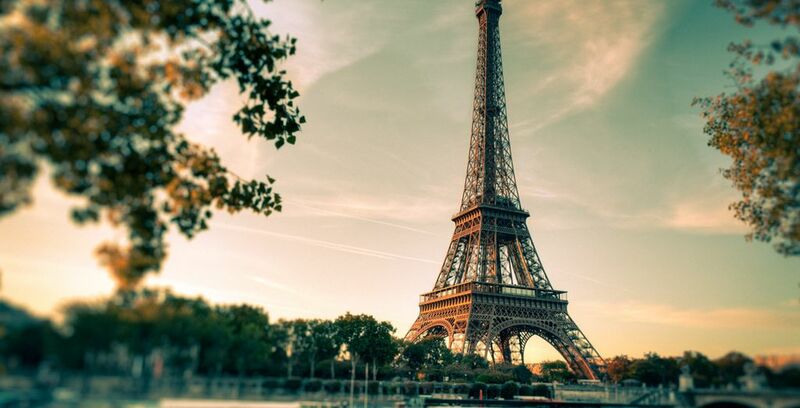 The two best ways to travel to Paris are by plane or by Eurostar. Paris is served by two airports, Paris-Charles de Gaulle and Paris-Orly, with regular short-haul flights from all major airports in Europe. Depending on the airline used, travel time from London Heathrow is approximately 75 to 90 minutes. The Eurostar from London to Paris takes around two hours and 15 minutes. 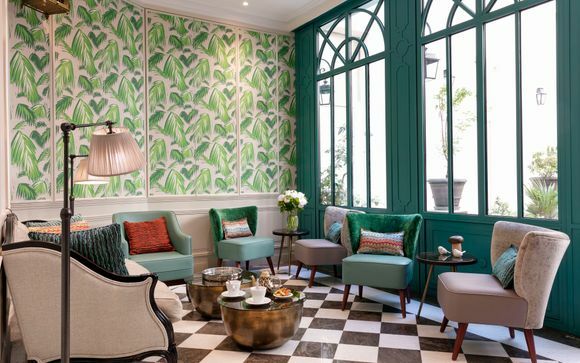 In the 15th arrondissement, the hotel offers all the modern luxuries you'd expect, as well as a fabulous breakfast. It's within easy reach of metro links. In the 17th arrondissement with modern, clean-looking decor, some rooms offer furnished terraces and it's within 250 yards to the nearest metro station. This hotel also offers a buffet-style breakfast with all the trimmings (both hot food and continental). 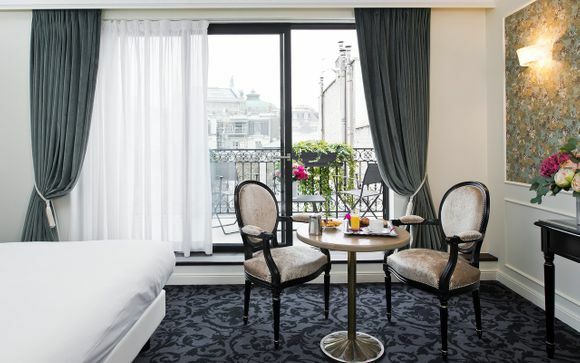 A 30 minute drive from Charles de Gaulle Airport and with the Moulin Rouge less than a mile away, this 17th arrondissement hotel has everything you'll need. Remember that Parisians eat late - usually at around 8 or 9pm - so don't go out at 6pm expecting full, atmospheric restaurants. It's also worth buying a book of 10 metro tickets if you're going to be travelling frequently to save money. The Parisian currency is the Euro, and most shops, restaurants and cafes have facilities allowing you to pay by Visa or MasterCard, although check with your card supplier for fees and always ask to pay in Euros (if you're given an option). Paris uses Central European Standard Time (CET), which is one hour ahead of Greenwich Mean Time. Which languages are spoken in Paris? The official language of the city is French, but many of the locals (especially in areas that see high levels of tourism) will often also speak English. It's always good to go prepared with a few pre-learned phrases as well as a phrasebook but you won't need to be fluent in order to communicate. 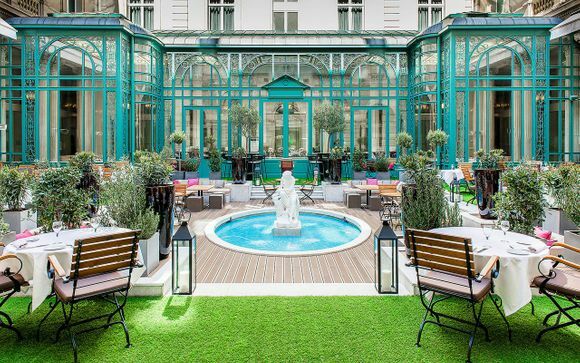 We'd suggest seven to 10 days for those who want to see as much of Paris as possible while also enjoying the array of cafes, restaurants and tourist attractions, but long weekends are also popular. 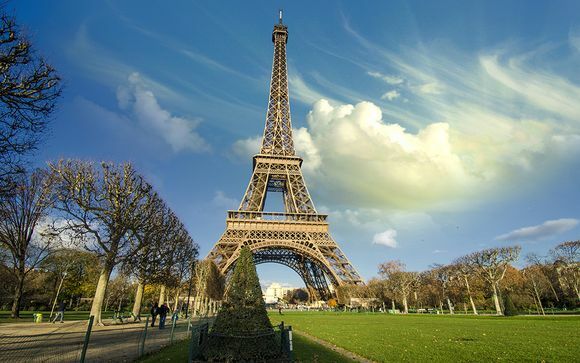 Discover our holiday deals to Paris: great deals to Paris, city break to Paris, holidays to Paris, stays in Paris, last minute holidays to Paris, weekends in Paris. France is known for its food and Paris is the capital of French gastronomy. With many crepe stands and cafes. Offering crepes with a whole host of toppings/fillings as well as the famous classics, such as beef bourguignon, coq au vin, French onion soup, chocolate mousse and Escargots, found in almost any eatery in Paris. The rich and enjoyable tastes are hard to miss. Paris is known as the romantic capital of Europe, and perhaps even the world, so is very popular with couples, but it's also a fantastic place for families to visit too. Disneyland Paris, the world-famous theme park, is definitely the number one attraction. There are also a wide range of parks, zoos and aquariums in Paris, including the Jardin d'Acclimatation, a beautiful park with puppet shows, pony rides, aviary and much more as well as the Parc Zoologique, a wonderful zoo away from the bustle of the busy city with a focus on protecting endangered species and giving animals the best quality of life. How can you travel to Paris with your pet? Travelling with a cat, dog or ferret to Paris from the UK is relatively easy and simply requires a pet passport (obtained through your vet at least 21 days prior to travel) which provides proof of microchip, rabies shot and an EU health certificate. There is no quarantine period. Paris can be explored and enjoyed at a relatively low cost for those who are budget savvy and there are a few tricks to save money while in the city. The average daily cost you'll rack up ranges from 50 to 75 Euros per person. Most hotels offer free breakfasts included with the room price, but Paris is full of patisseries if not and croissants can cost around €1-€1.50, more with filling. Lunch is usually the best time to get a good deal, as many restaurants offer fixed price lunch menus with three courses for around 15 Euros, or enjoy a crepe, sandwich or create a picnic to take to the park. Look for fixed price menus during dinner too, or simply have one course and share dessert. You'll find some of the best prices (and perhaps some of the best restaurants) on Montmarte. Attractions: between €10-€20 per attraction. Always remember to check out the website of the attractions you'd like to visit as some (such as the Louvre) offer free entry on certain days during off-peak season months and can also be free for under 25s. Travel: €1.70 per single way metro ticket, €13.70 for a book of 10. Using the metro and walking are the most economical and best ways to get around Paris. Take a metro train to one place and then simply explore the area and walk to the next. Beer/glass of wine: between €4-€8. Buying alcohol in bars and restaurants can be pricey, and can add on a good €20-€30 to your dinner bill for the cheapest bottles with your meal, however, wine and beer prices in supermarkets can be as little as €5 for a decent bottle. Remember that Paris uses European plugs and so you'll need to take adapters with you for any electrical equipment. Discover our offers in France: holidays to France, last minute holidays to France, stays in France, ski holidays in France, great deals to France, weekend breaks in France, holidays in the South of France, secret escapes offers.